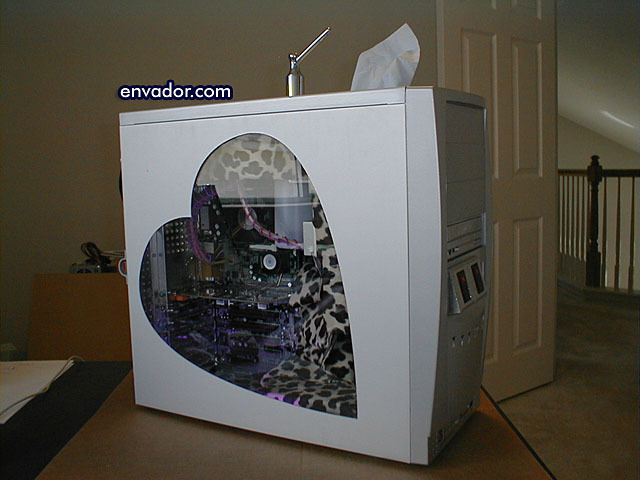 I made LovePC for the Xabre Consumate Computer Competition (C3) Summer 2002. It was a side-event at the Summer 2002 CPL in Dallas. For this case, I got 5th place. Many thanks to Xabre, Intel and www.so-trickcomputers.com for sponsoring this event. 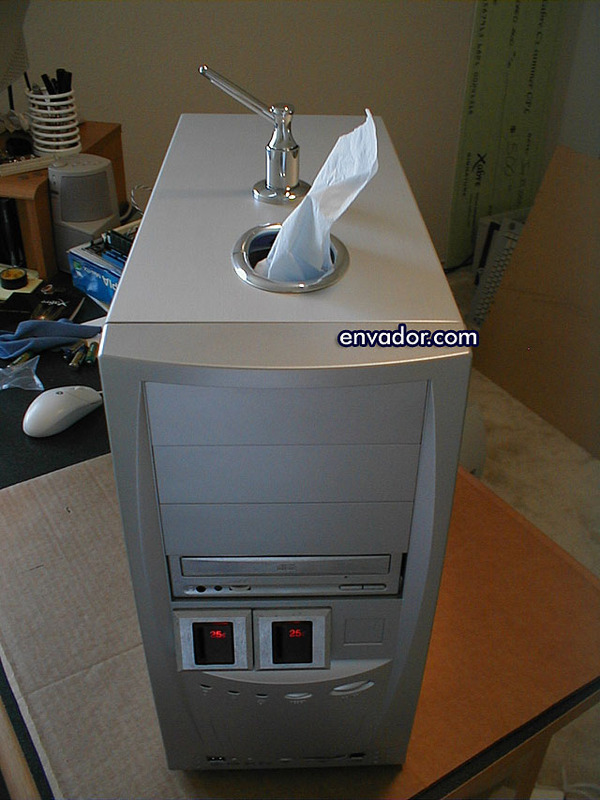 I came back with $500 cash and a Xabre AG400 Video Card both from Xabre. Intel supplied a nice motherboard, and so-trick supplied a $100 gift certificate. Not bad eh?  :) A big thanks to all the people who are bringing modding into the spotlight! 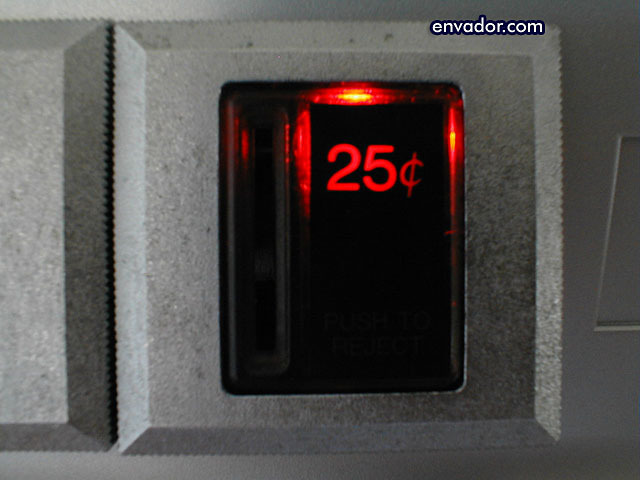 Coin slots are Lighted - the Left slot is power, the right slot lights up when there's hard drive activity. LooooovePC!!! 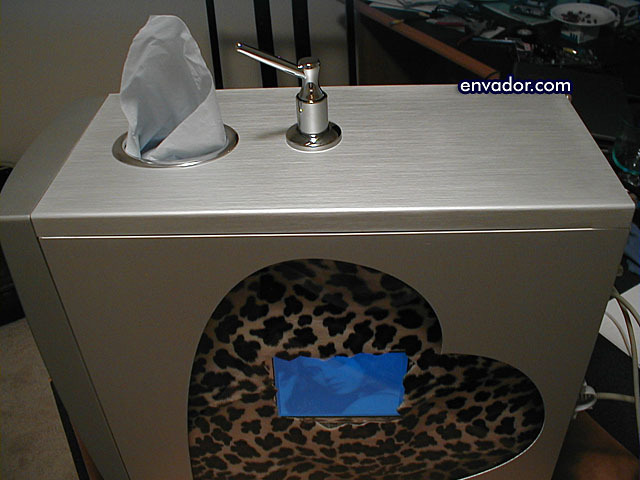 Here you can see the Lotion and Tissue dispensers, the $0.25 coin slots, and the heart-shaped cutout. 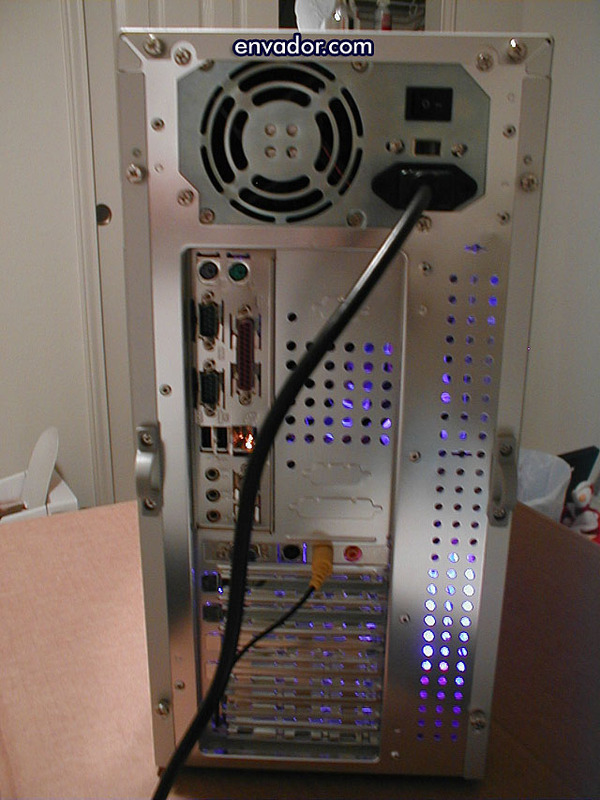 A view of LovePC from the left front. 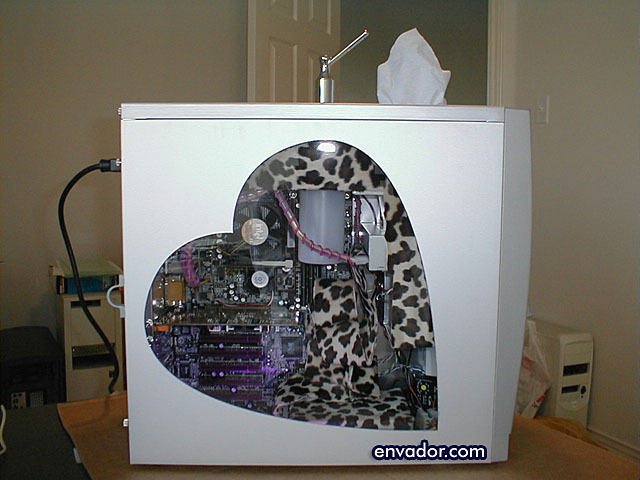 A view of LovePC from the left. 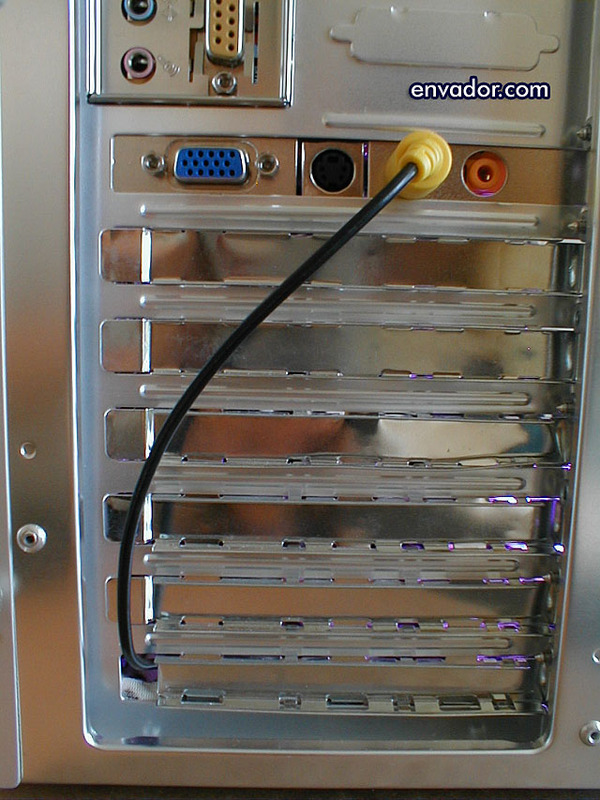 Notice the yellow RCA video cable connected to the rear and into the PC... that's the secondary display. 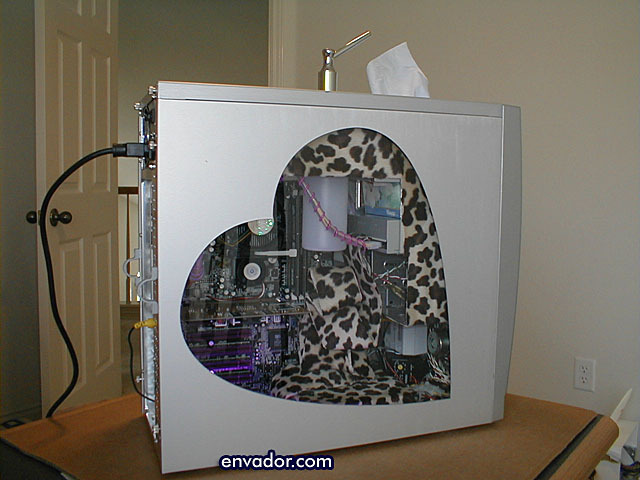 A view of LovePC from the right side of the computer. I have a pic of Eliza Dushku showing in the secondary display for "testing purposes"
A view of LovePC from the left front looking down. 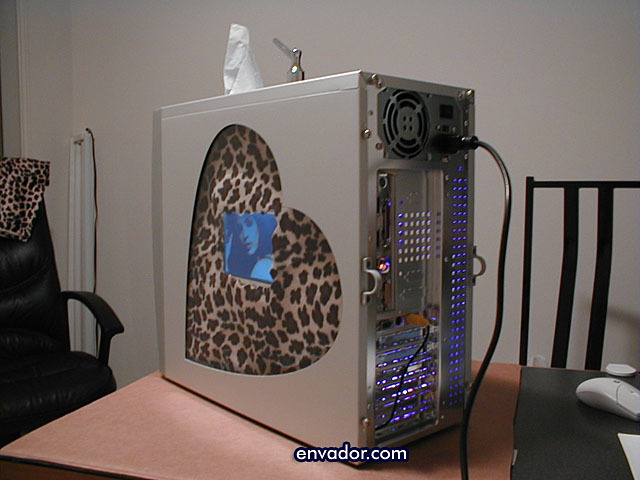 A view of LovePC from the left side of the computer. Like the heart-shaped window? :) Very.... romantic yeah. 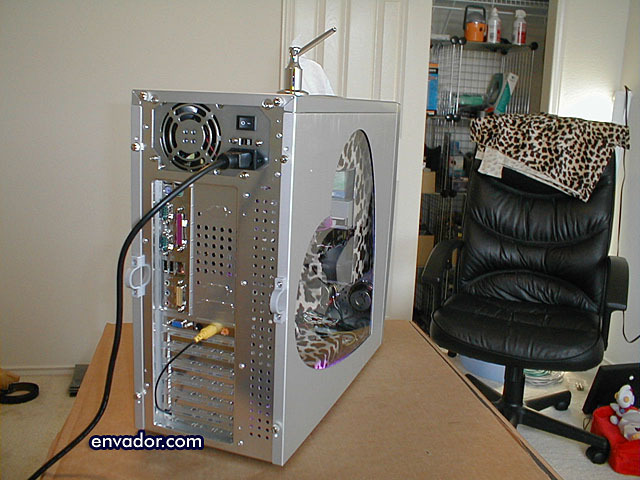 A view of LovePC from the left side of the computer with the side panel off. 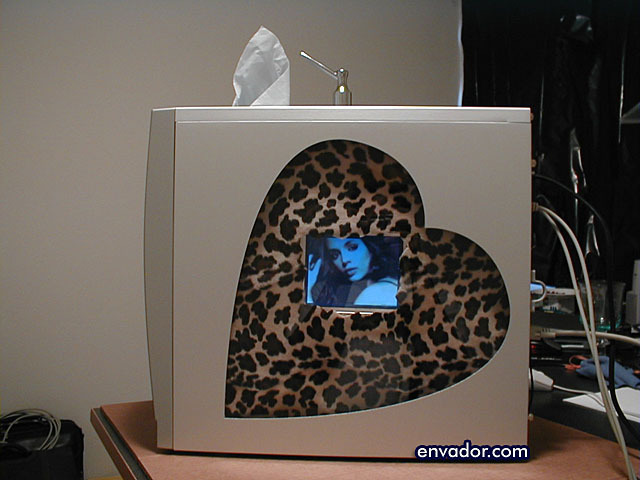 I lined the inside with faux leopard fur ... for that classy look! Very romantic baby!! 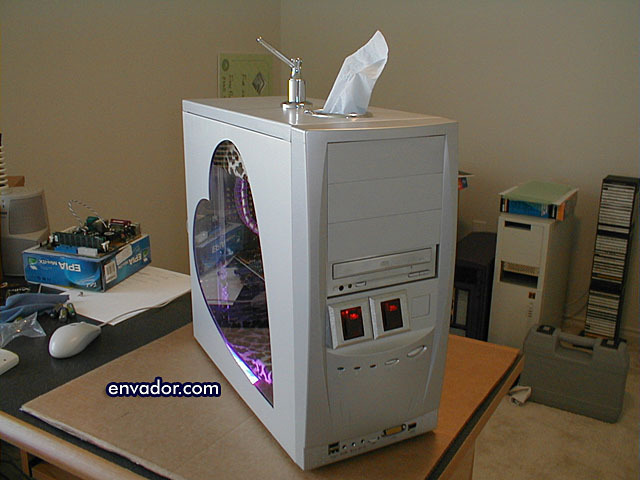 Heat is not a problem since I run a P4 2.4GHz in there. 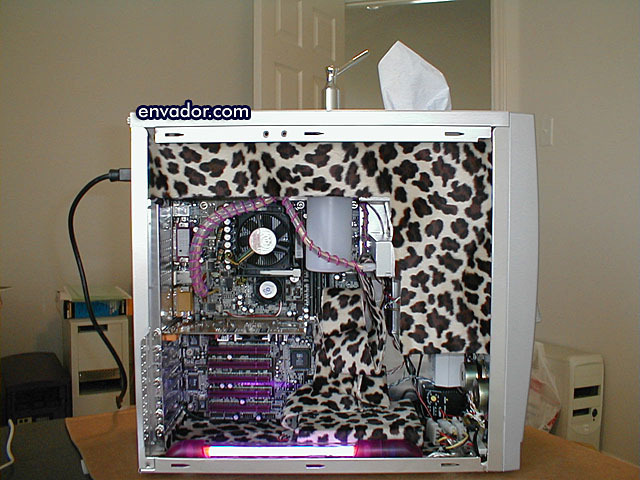 The hard drive is mounted on the floor of the case and is covered in leopard print. 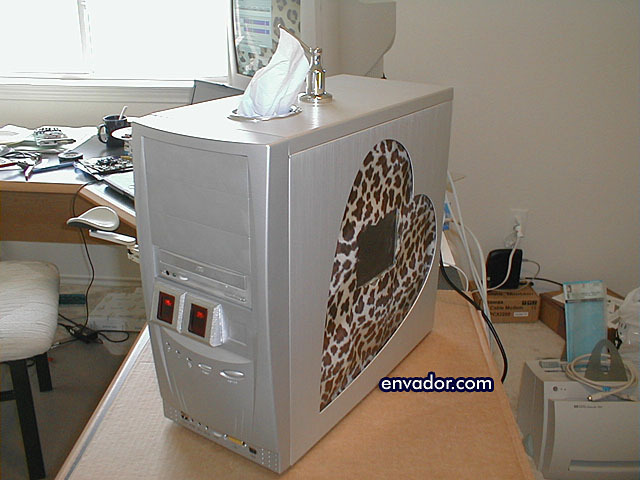 It has a fan attached to the bottom of it to keep it cool so the fur doesn't overheat it. 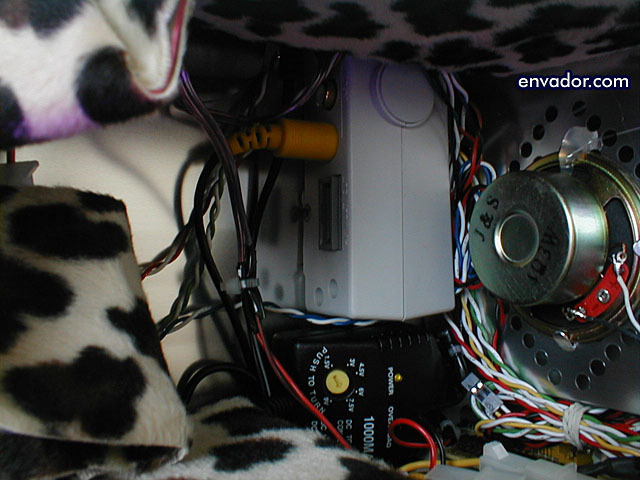 A view of LovePC from the front looking down. 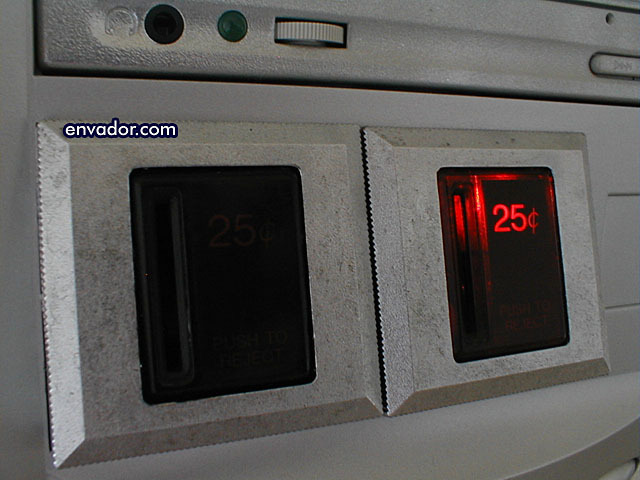 A close-up of the coin slots when there is no hard drive activity... the slot on the left is unlighted. 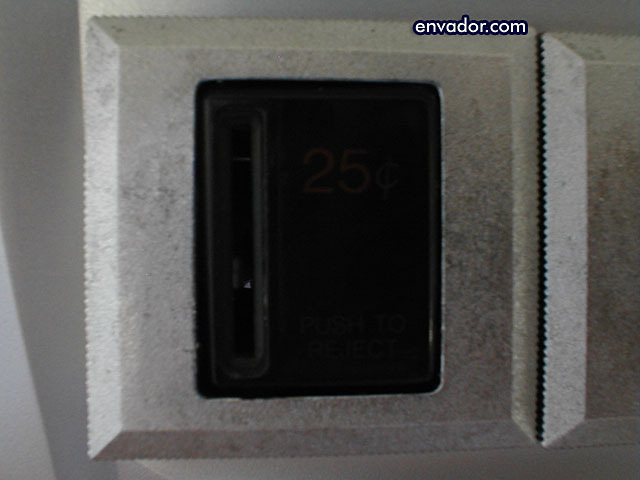 A close-up of the unlighted hdd activity coin slot. 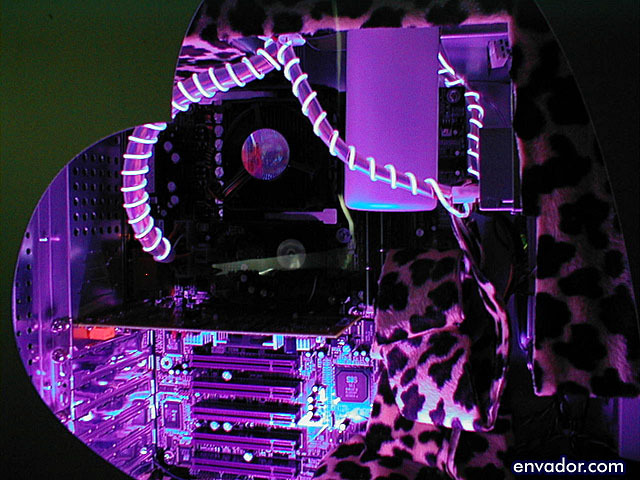 A close-up of the Xabre AG400 video card. 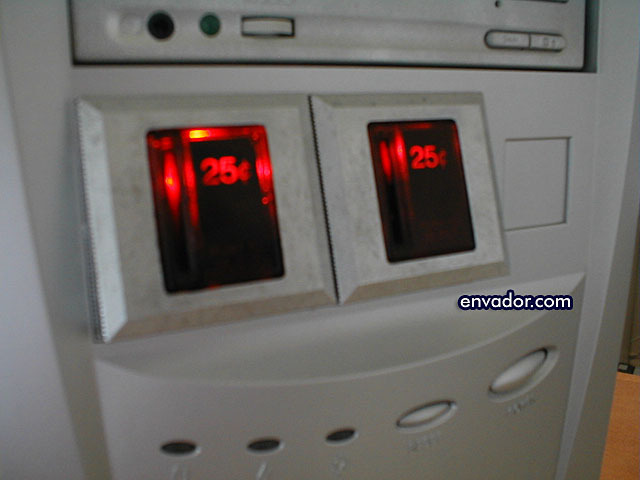 It has multiple outputs and supports multiple display on-board! 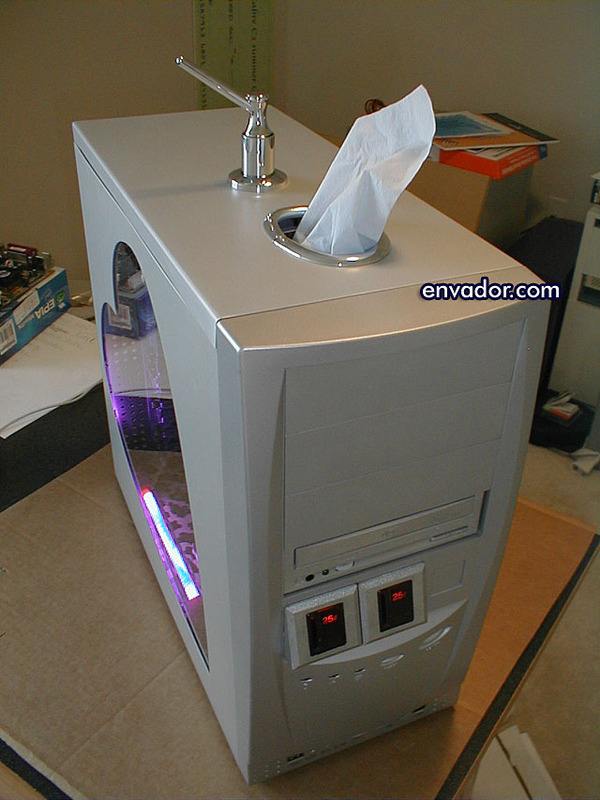 I get good fps in Quake3 with this card too. A close-up of the other end of the yellow RCA video cable. It plugs into a GameVue for the PSOne for my secondary display. Only $50 at Fry's! 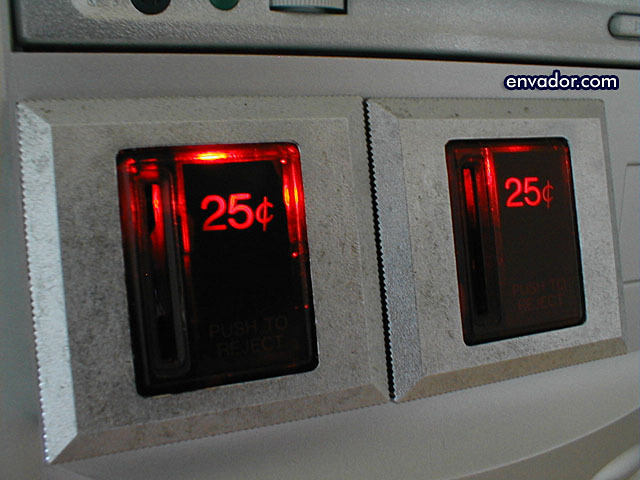 A close-up of the backside of the coin slots. 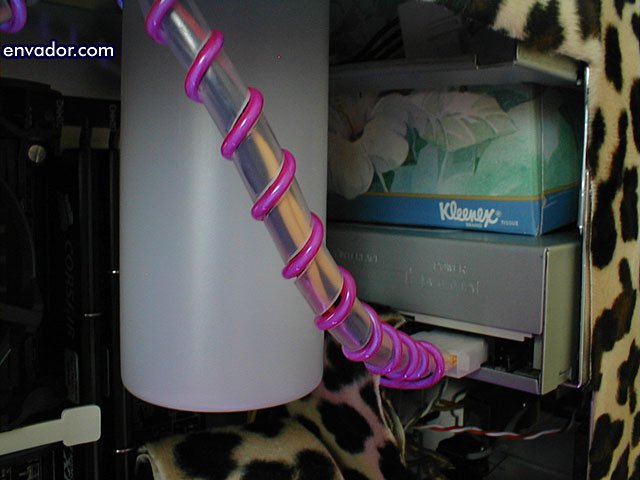 It uses a spring-loaded momentary switch. Quarters are collected in the 3.5" bay. I normally have a door there to keep coins in the bay, but I took it out for this picture so you can see better. 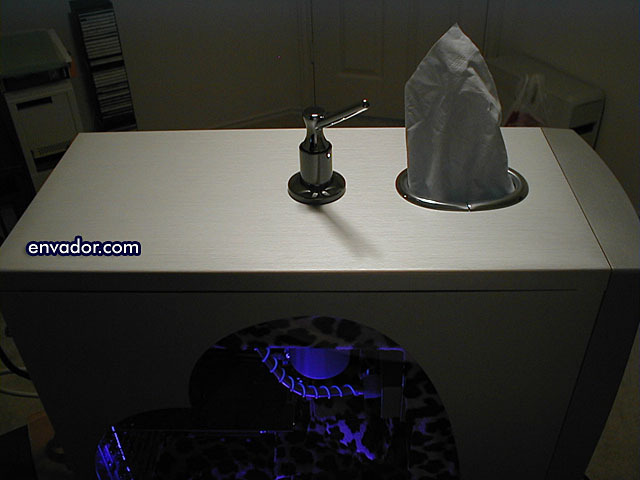 A close-up of the Lotion reservoir and tissue box. 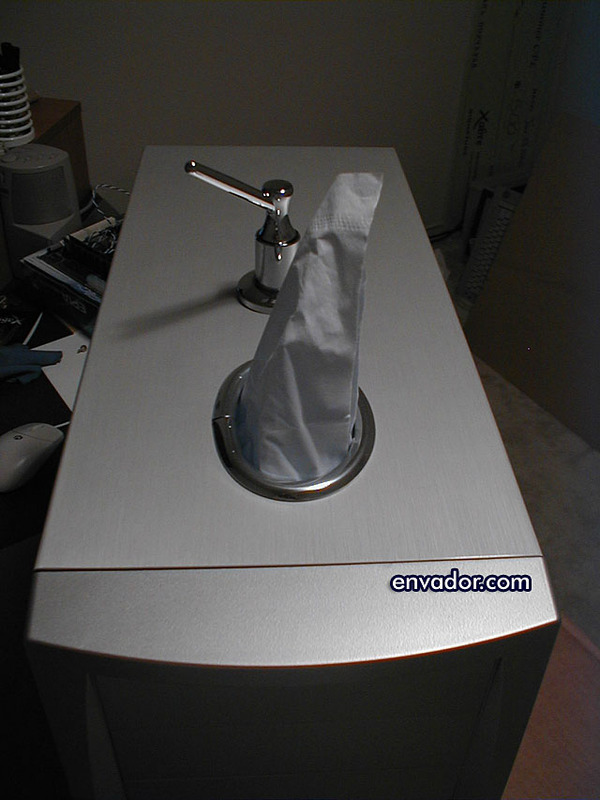 You refill the lotion from the top by removing the pump. 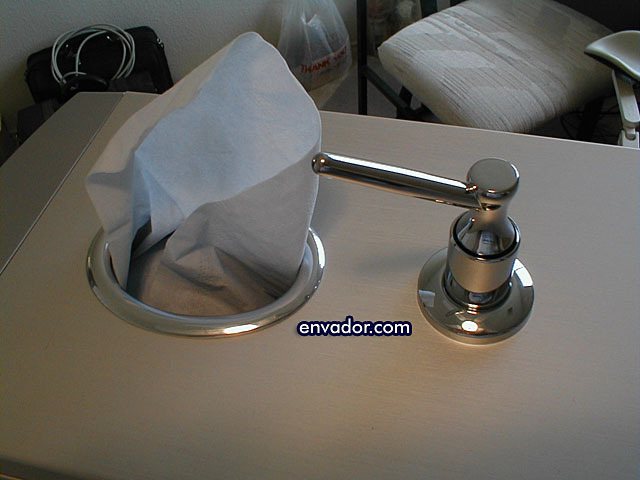 You replace the tissue box by taking out the 5.25" bay covers. 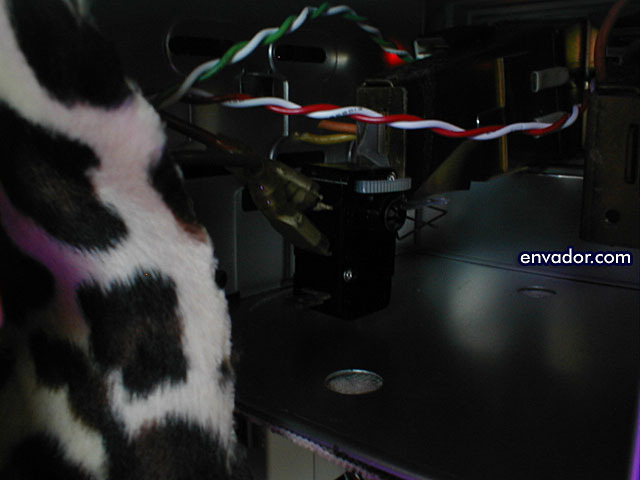 A view of LovePC from the Left side looking down in the semi-dark. 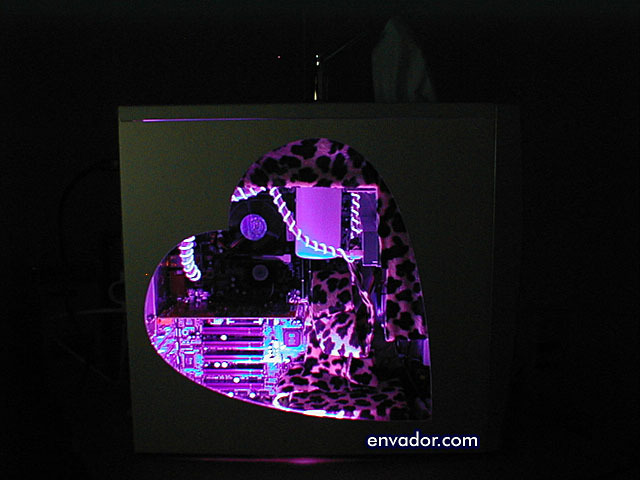 A view of LovePC from the right side looking down in the semi-dark.